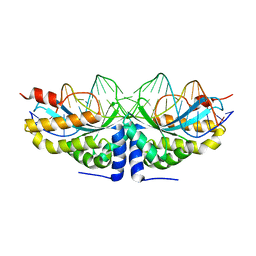 Authors: Blanco, F.J., Yee, A., Campos-Olivas, R., Devos, D., Valencia, A., Arrowsmith, C.H., Rico, M.
Cite: Functional impact of cancer-associated mutations in the tumor suppressor protein ING4. 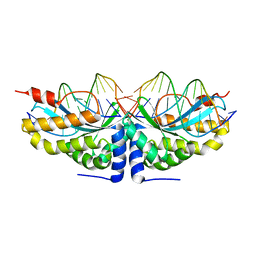 Authors: GIMENEZ, P., OYENARTE, I., HARDY, S., ZUBILLAGA, M., MERINO, N., BLANCO, F.J., SILIQI, D., TREMBLAY, M., MULLER, D., MARTINEZ-CRUZ, L.A. 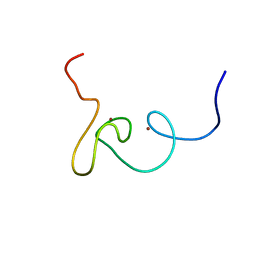 Authors: Pantoja-Uceda, D., Blanco, F.J. 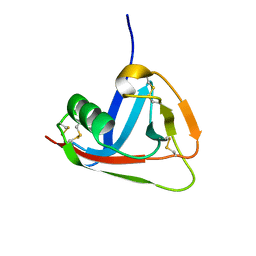 Cite: The NMR structure and dynamics of the two-domain tick carboxypeptidase inhibitor reveal flexibility in its free form and stiffness upon binding to human carboxypeptidase B. 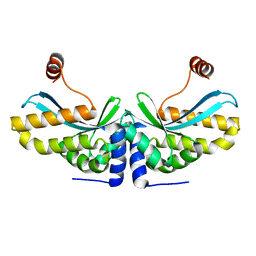 Authors: Palacios, A., Garcia, P., Padro, D., Lopez-Hernandez, E., Blanco, F.J. 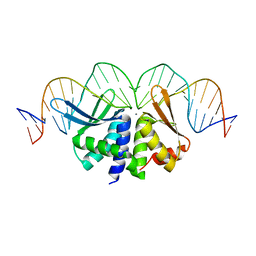 Cite: Solution structure and NMR characterization of the binding to methylated histone tails of the plant homeodomain finger of the tumour suppressor ING4. 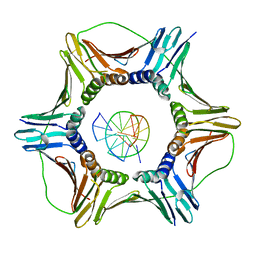 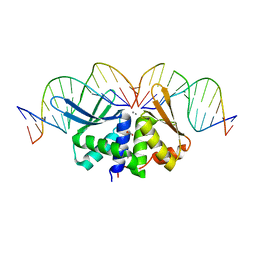 THE CRYSTAL STRUCTURE OF THE ING4 DIMERIZATION DOMAIN REVEALS THE FUNCTIONAL ORGANIZATION OF THE ING FAMILY OF CHROMATIN BINDING PROTEINS. 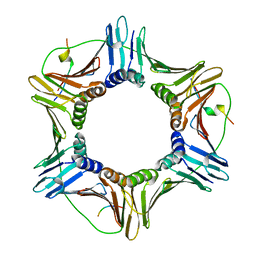 Authors: Culurgioni, S., Munoz, I.G., Moreno, A., Palacios, A., Villate, M., Palmero, I., Montoya, G., Blanco, F.J. 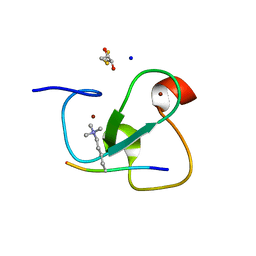 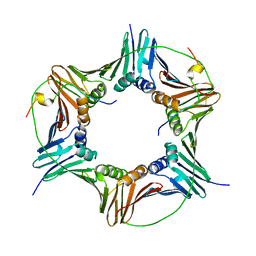 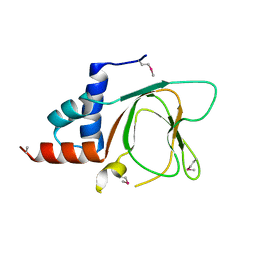 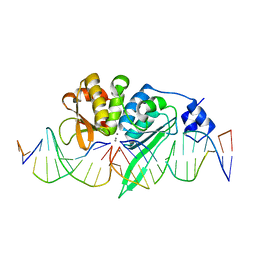 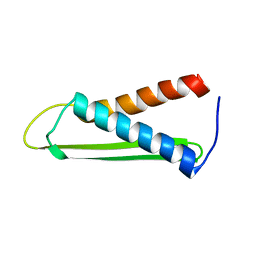 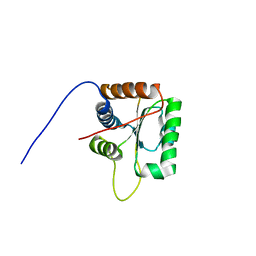 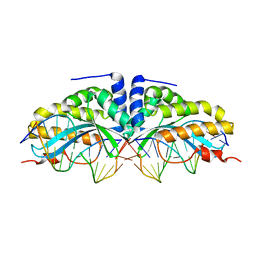 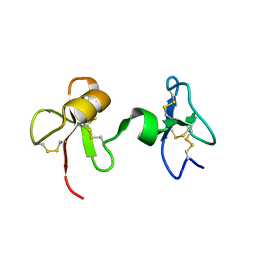 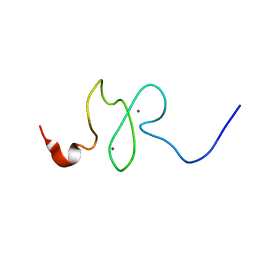 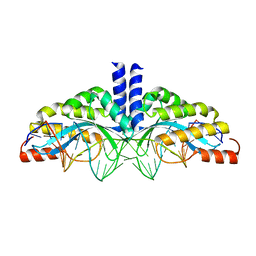 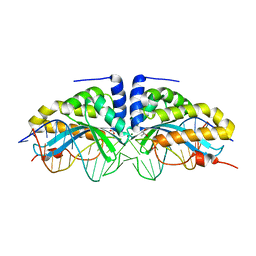 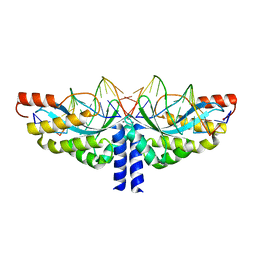 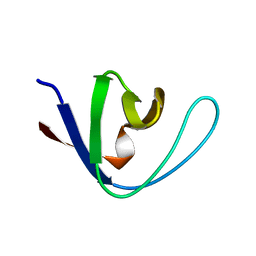 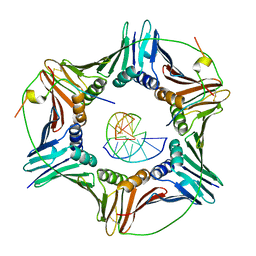 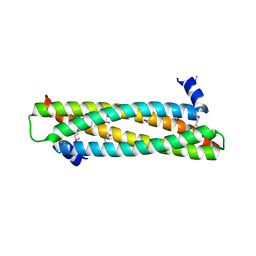 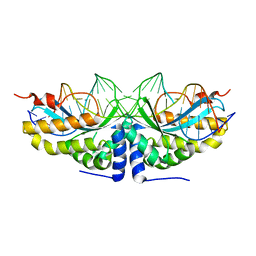 Cite: Crystal Structure of Inhibitor of Growth 4 (Ing4) Dimerization Domain Reveals Functional Organization of Ing Family of Chromatin-Binding Proteins.